I'm a proud member of Virily.com and have cashed out from there twice already. I enjoy interacting with the kind and helpful writers there and also making fun quizzes. Here is one of them which I created whereby you've to guess where is the ball in the screen captures/photos. 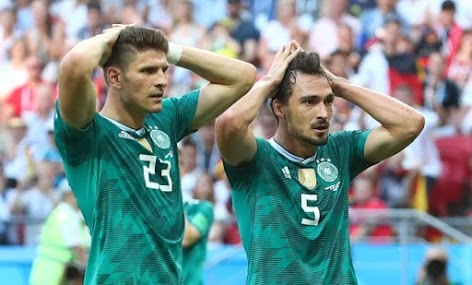 I can't believe Germany lost the match!!! They're out of the World Cup!!! NOOO!! But even though as a supporter of Germany, I think their performance was BAD. They're sloppy and doesn't show too much team-work... Especially in their last match against South Korea.